Facebook (FB) is rebranding. The new corporate messaging is deliberately fuzzy. It is all about bedtime stories and using technology to catch up with friends and family. A month ago, the social media giant released Portal, a family of smart displays with always-listening microphones and lots of innovative software tricks. Now the reviews are coming in. They are unkind, to say the least. The best companies innovate around strengths. Facebook, not so much. Move over, Amazon Echo. 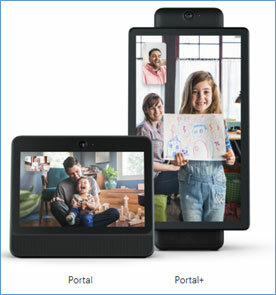 Facebook is now in physical form, with its new Portal video-chat device. Portal has an AI-powered camera, a four-microphone array, and senses when you walk away from the device mid-call. The device, which starts shipping this month, even features Amazon’s Alexa. Facebook had a terrific business. Despite user interface challenges and plenty of negative press, the company staked its position among the digital media elites. Even with its privacy scandals, the 2016 presidential election hacking fallout and high-profile data breaches, alongside Google, the company is still raking-in 70% of all digital advertising spend. Facebook critics frequently argue its business is just ads. True, but selling advertising, especially digital ads, is a great business. One that gets much better every year. That’s because Facebook and Google cornered the market. They built popular products like Google Search, YouTube, Gmail, Instagram, WhatsApp, Messenger and Facebook. Ad buyers can’t get enough. Moreover, customers can be targeted. Google and Facebook know their users, and they have devised clever ways for marketers to effectively reach highly defined subsets of people. 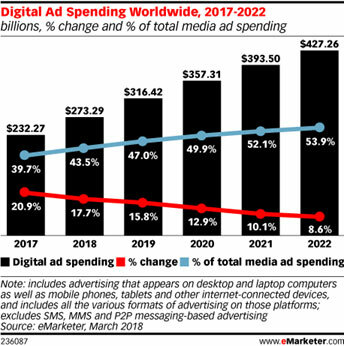 In May 2018, eMarketer, an online digital media research firm, forecast that digital media accounted for 43.5% of all media investments. This is due directly to declining TV viewership. 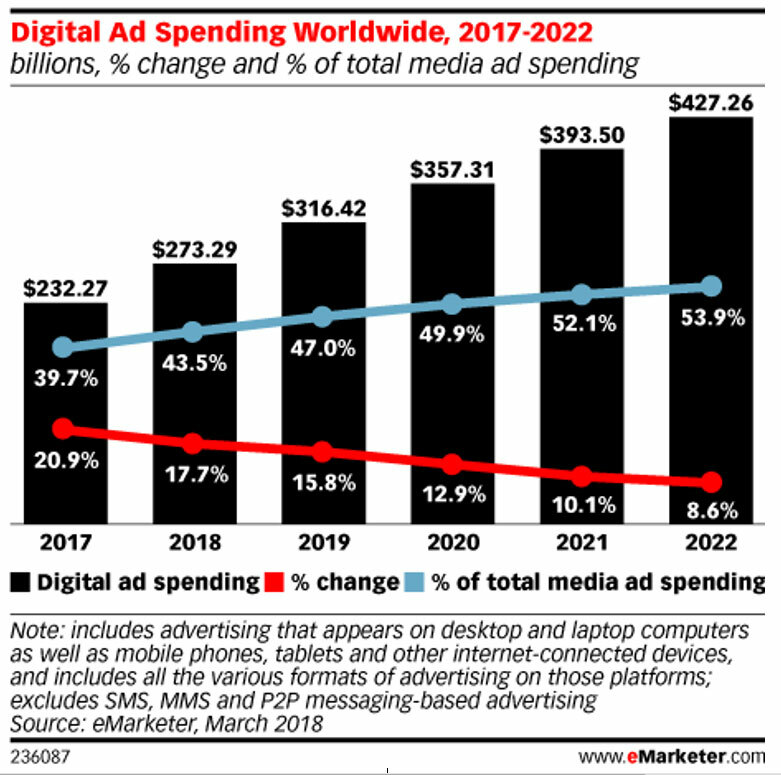 The firm predicts that, by 2020, digital spend with reach $357 billion — and share will rise to 50%. As a company, Facebook should be entirely focused on reinforcing that business. Mark Zuckerberg, founder and CEO, should be doing media junkets and signaling that the company is doubling down on advertising. The products, Portal and Portal Plus, are truly innovative. They allow Facebook users to make video calls and send messages. The camera even uses artificial intelligence to track people in its field of view. And somehow the microphone is able to zoom in on the person talking in groups. It’s clever. Facebook product managers probably expected tech reviewers would ooh and aah over the slick software and hardware experience. Instead, nobody could get past the creepy idea of inviting Facebook into their homes to eavesdrop and record video. The odds are good that the general public will have the same reservations. This means Facebook’s giant rebranding, with puppies and bedtime stories, is going to fail — miserably so. Since its inception, it has unapologetically collected data on every website click, shopping cart and order. It uses a predictive analytics algorithm to make suggestions and enhance the shopping experience. Customers love it. Amazon now has 100 million Prime subscribers. These patrons are paying the company a fee for the right to shop on the site, and their numbers are growing exponentially. Alexa, the company’s digital assistant, is finding a home in new cars, washing machines and digital appliances. Alexa is even inside Facebook’s Portal. Unlike Facebook, Amazon enterprise managers relentlessly focus on the things the company does well, then they push software engineers and product managers to find new ways to leverage those strengths and grow the overall business. It does not always work. Amazon released the Fire phone in 2014. It was the retailer’s take on smartphones, and leveraged shopping experience with computer vision software and some augmented reality flourishes. It was a complete bust, ultimately leading to a $1 billion in write-downs. Alexa was born out of ashes of Fire phone. The handset’s engineers were reassigned to a new project with smaller ambitions. Today, that project is the biggest thing in artificial intelligence. Inside the wildly popular Echo family of products, Alexa is always listening for her name. She can tell jokes, answer trivia, give sports scores and scads more. Nobody is creeped out. Amazon is a great business because managers are focused. They understand the company strengths, and all efforts are set to advance on that terrain. The shares are down from a high of $2,050. At 65x forward earnings, the stock is not cheap, but the prospects are solid. The company will grow into its valuation. jes a new subscriber like to have my information on elite 8 stocks please send a email. thanks for the attention .